« Writer’s block. I’m FOKT! Too much OCD’ing. 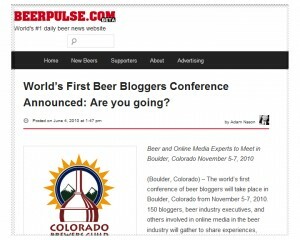 I first heard about the Beer Bloggers Conference in June 2010. I’ve been working in the beer industry since 2007. Not as a blogger, but as a beer store shopkeeper. 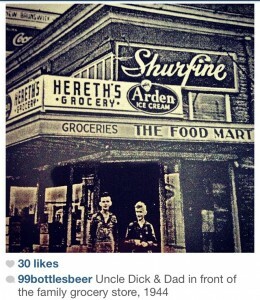 That’s when my family opened a beer store in Federal Way, Washington. My job here is multi-layered. It includes office – staff – inventory management, cleaning, stocking, sales and marketing. That includes writing all publicity, newsletters, social media, customer education, and product information for the store. Was I a blogger? I am a beer blogger of sorts, yes, I suppose. Would I fit in with these bloggers? People whose posts I’ve been reading for years, whose podcasts I periodically listen in on, who have no fear in writing about beer. Does writing for my store’s customers qualify? It does. Will the conference help me better understand my audience? Will it help me find my voice? Will it build up my confidence that’s been waning? Will there be understanding, mutual passion for both beer and writing? Oh, I hoped so! The conference appealed to me for several reasons. Oh how I missed my writing community. My job(s) before the store all had aspects of writing. I’ve been writing professionally since the early 90s. It started with assisting scientific staff with publications and writing business correspondence, moved into a technical writing apprenticeship that meant assisting with presentations and brochures and authoring and illustrating training, laboratory, and service documentation. By 1993 I was working freelance and on contract for scores of businesses around the Northwest, and a few cross-country. I really loved my writing jobs, but I also missed what I’d grown up in: A family-centric business, a storefront, a place to call my own, where others came to buy products. Three generations of small retail ended before it could support a fourth. My desire, my passion, my drive to recreate a new family business, to sell a product I believe in. I dreamed of having my own little shop. My husband was on board for getting into business together. The thought of opening a retail store we could jointly run, to spend more time together sounded good. His idea: A beer store. I jumped on board. We opened the shop in January 2007. Have you ever worked together with your spouse for three-and-a-half years straight without a vacation? Yep. I didn’t think so. But if you have, you know we were both sorely in need of a break. I really needed time away, but not time alone. 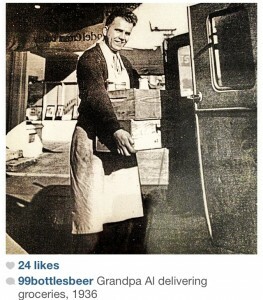 It’s true: A lot of family businesses fail. Many due to divorce. I’ve learned why. Likely he has too. We need to both get out and have social interactions apart. We each need hobbies and peers of our own. The thought of a conference that ‘s bringing together beer bloggers, this may be what I need for a shot of rejuvenation. A mirage in my desert. Would it become my Oasis? 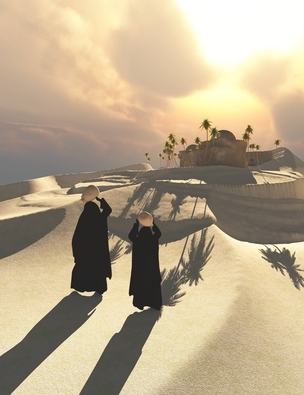 I’d been treading through sand for so long, I was longing for refreshment, new perspective, rejuvenation. …was so long ago that I have to guess-count backwards, thinking about the past to figure out the year. Was it 2002? We don’t have the money to go away on vacations now. The money we have is tied to this business. Our time on this earth, devoted to this business. I am fully entwined in this business. There’s no running off to have a day off together, let alone a weekend. If we’re not at the shop it’s closed. If it’s closed there’s no money flowing in. If there’s no money, there’s no business – house – staff – life. If it’s closed I’m letting down all the people who look to me for this great product: Delicious Beer. If I let them down, they stop coming to my shop. They go somewhere else. My sales drops. My operating capital shrinks. I would ultimately lose my business. My joy, my dreams would go right down the toilet. So I struggle, I strive, I continue on this sandy path. Even though we’re supposed to share the same goals and dreams, as a married couple and co-business owners, the times of joy seem to lessen. The times of camaraderie, of happiness, they are fleeting. It has become clear that I will have to look outside my household for this connection. Would I get the connection, the camaraderie I sought at this Beer Bloggers Conference? The more I read about the conference, the more it peaked my interest: Writing & Beer, a perfect pairing. To have the chance to go on a “working vacation” even though it was to a conference of strangers… (I’m not the most outgoing person. I’m an INFJ. I’m a total wallflower: An observer more than a participant.) …when that chance came up, I thought: Beer & Writing, count me in. I should fit in okay; we’ve all got two common interests. This time away should help refresh my spirit. Let me go, let me become rejuvenized. The first Beer Bloggers Conference, 2010 in Boulder, Colorado: Friendly faces, the kindness of others, the social lubricant of beer, writing ideas discovered and confirmed, feeling different yet similar, in awe of how others have advanced and changed their part of the world through their passion for beer. I returned just that: Refreshed, Rejuvenated. The Beer Bloggers Conference was my “ahhh” moment, where I didn’t have to worry and fret over everything for everyone else, away from the long retail hours, away from my inability to make everyone happy. It was a place where I could just be.